Quantitative phase microscopy (QPM), a technique combining phase imaging and microscopy, enables visualization of the 3D topography in reflective samples, as well as the inner structure or refractive index distribution of transparent and translucent samples. Similar to other imaging modalities, QPM is constrained by the conflict between numerical aperture (NA) and field of view (FOV): an imaging system with a low NA has to be employed to maintain a large FOV. This fact severely limits the resolution in QPM up to 0.82λ/NA, λ being the illumination wavelength. Consequently, finer structures of samples cannot be resolved by using modest NA objectives in QPM. 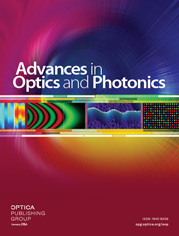 Aimed to that, many approaches, such as oblique illumination, structured illumination, and speckle illumination (just to cite a few), have been proposed to improve the spatial resolution (or the space–bandwidth product) in phase microscopy by restricting other degrees of freedom (mostly time). This paper aims to provide an up-to-date review on the resolution enhancement approaches in QPM, discussing the pros and cons of each technique as well as the confusion on resolution definition claims on QPM and other coherent microscopy methods. Through this survey, we will review the most appealing and useful techniques for superresolution in coherent microscopy, working with and without lenses and with special attention to QPM. Note that, throughout this review, with the term “superresolution” we denote enhancing the resolution to surpass the limit imposed by diffraction and proportional to λ/NA, rather than the physics limit λ/(2nmed), with nmed being the refractive index value of the immersion medium.